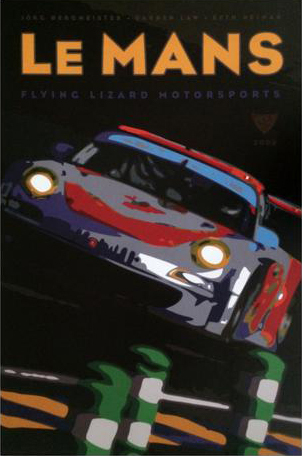 The Flying Lizards team is famous for their racing exploits with Porsche and Audi in IMSA and at LeMans. It turns out the team principals are very much into art too. Their distinct silver and red cars were simple and effective paint schemes. Especially wonderful were the 3 LeMans contenders that they had decorated by Troy Lee, he of the many wild helmet designs for top drivers. 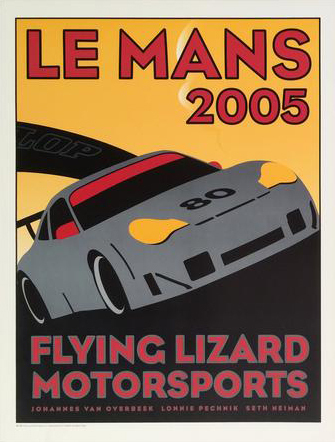 The first, for the 2007 LeMans race, was decorated using a full vinyl wrap on one 911. 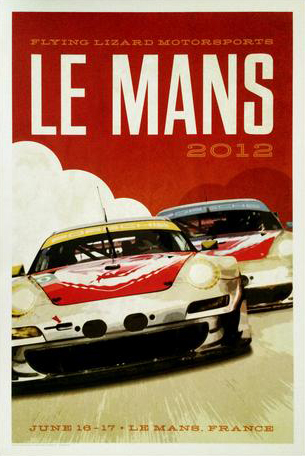 For 2011, the paint scheme was reprised with some changes, using two 911s. 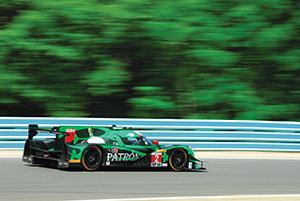 Both were identical, save for the main color of the cars (above). 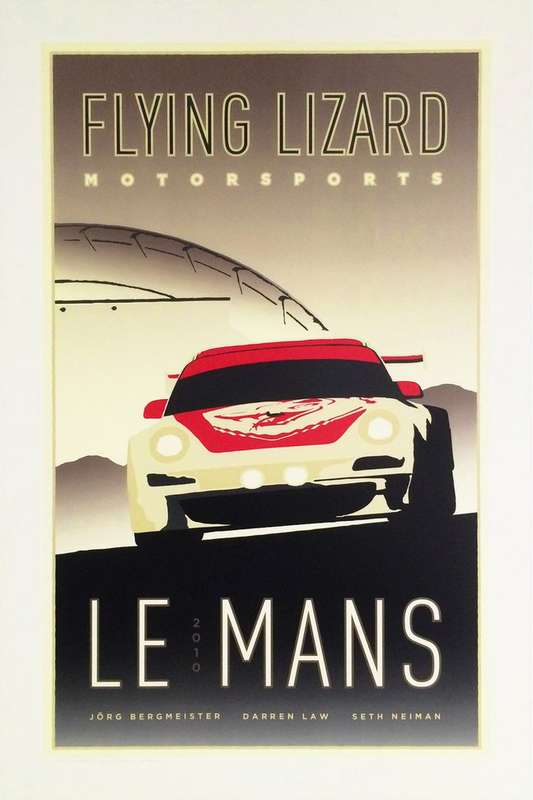 Flying Lizards created a series of posters for the team, from 2004 to 2012 to celebrate their team. 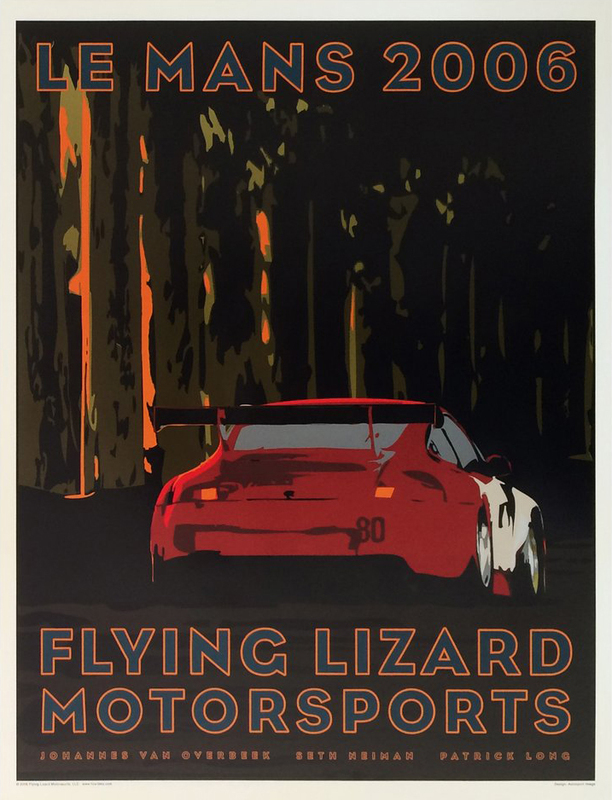 Using photos or created art for the generally 24″x36″ posters, they are terrific. Finding a frame will be very easy due to the common size of most posters offered. A trip to your local arts and crafts or art store will do the trick. Printed on good, heavy stock, they are reasonably priced $10-$25. See a few of them below, and the whole collection here.